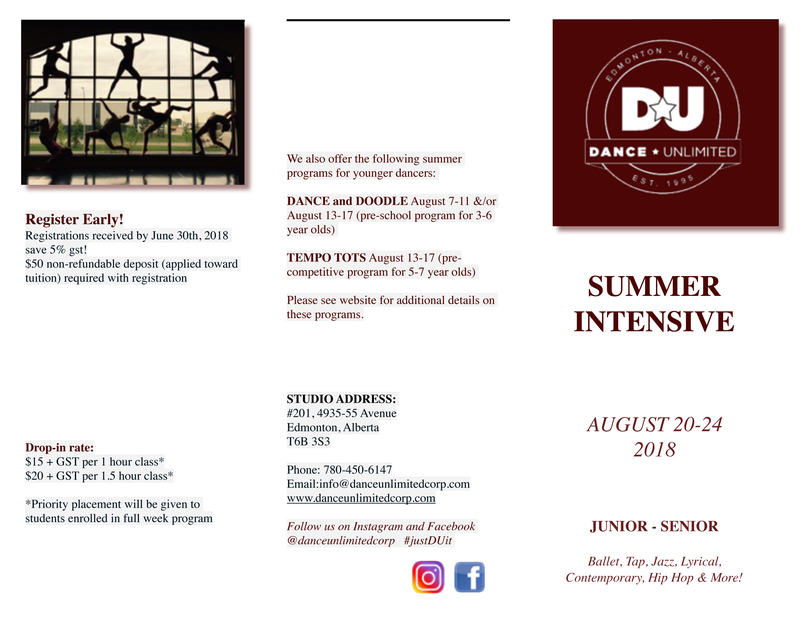 2019 Summer Intensive information coming soon! Students aged approximately 8 – 10 years with minimum 2 years dance experience. 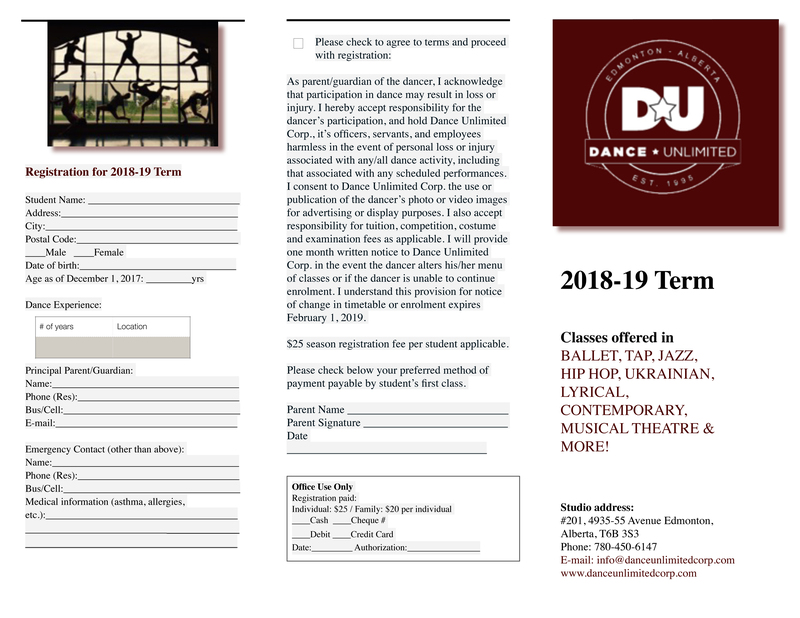 Dancers will receive 4 hours of daily instruction in ballet, jazz, tap & hip hop. Students aged approximately 11 – 13 years with minimum 3 years dance experience. 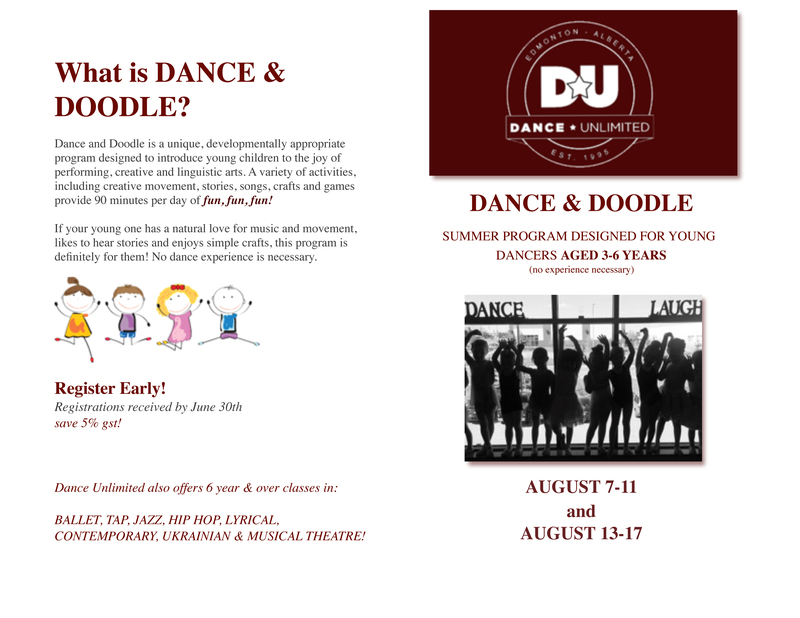 Dancers will receive 5 hours of daily instruction in ballet, jazz, tap, lyrical & hip hop. Students aged approximately 14 years and older with 5 or more years dance experience. Dancers will receive 6 hours of daily instruction in ballet, pointe/pre-pointe, jazz, tap, hip hop, lyrical, contemporary & hip hop. 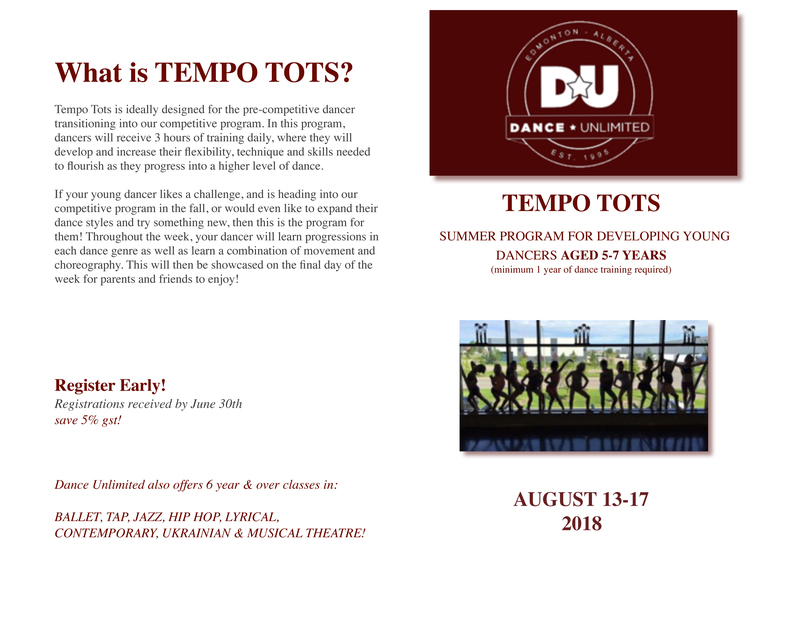 Solo, duo & small group choreography will be offered in ballet, jazz, tap, lyrical, contemporary and hip hop. Large group choreography (discipline to be confirmed) will also be offered to Levels 3 & 4. August 25-26: Tuition to be announced.